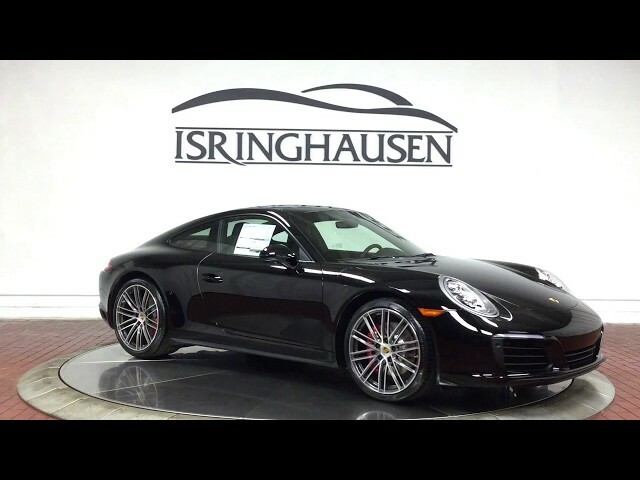 This performance focused 2019 Porsche 911 C4S Coupe comes smartly configured with rare 7-speed manual transmission and factory Powerkit in addition to Sport Package, Premium Package Plus, 14-Way Power Sport Seats, Bose Surround Sound, Power Sunroof, 20" 911 Turbo Wheels and more. Finished in Black with Black and Guards Red Seat Belts, this 450 horsepower 911 is the ideal driver's car. Contact a Porsche sales specialist today to take advantage of this one of a kind vehicle by calling 877-362-9715. Isringhausen Imports is Central Illinois' premier new car, used car and certified pre-owned (CPO) dealership for quality BMW, Porsche, Volvo and Mercedes-Benz vehicles. At Isringhausen Imports, we have become a leader in the industry by working each day towards the greater good of our customers, our fellow employees, and our community.